In our response to the CMA and BEIS we reiterated that audit quality has to be the overriding objective. The most important aspect of the Brydon review is consideration of the role, purpose and scope of audit. ICAS is launching the CA Agenda to help members address the challenges confronting the profession. Who do you trust? The 2019 Edelman trust barometer reveals that while trust in government, business, media and NGOs has declined over the last 20 years, people are placing more trust in their professional relationships. In the UK this lack of public trust, particularly in relation to business and the auditing profession, has been exacerbated by a string of recent high-profile corporate collapses. The need for change is self-evident and ICAS is playing its role in helping to shape the future direction of the audit profession. 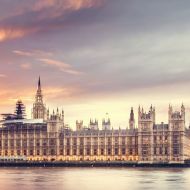 Indeed, in January, ICAS responded to the Competition and Markets Authority’s (CMA) proposed remedies in relation to its review of the Statutory Audit Market and also submitted written evidence to the BEIS Parliamentary inquiry on the future of audit. We have reiterated in these submissions that audit quality has to be the overriding objective and that all proposals affecting statutory audit of Public Interest Entities (PIEs) need to be considered with that in mind. We have highlighted to the CMA areas where it needs to provide greater clarity to the evidence in support of its conclusions, and the remedies it has proposed. For example, its final report should provide more detail about choice within the wider PIE audit market. The CMA’s analysis suggests that the UK audit market for PIE companies, as defined by fees earned, is £2.7bn. The FTSE 350 accounts for around £1bn (40%). There is no guarantee that increased choice in the audit market will increase audit quality. For any review of a market there is a clear need to understand the market in its totality first, and in the context of this report the role that challenger firms play within the wider audit market (beyond the FTSE 350) is important too. Thereafter, any conclusions that are drawn from the evidence and analysis would have a context and an independent informed reader could assess the reliability of the conclusions drawn. The CMA also needs to provide greater evidence that its proposed remedies will achieve its set objectives which include: better choice in the audit market while ensuring high audit quality; and more fairness in the selection of auditors. There is no guarantee that increased choice in the audit market will increase audit quality. The introduction of joint audit could increase choice in the audit market but there is a lack of evidence as to its impact on audit quality. From the demand perspective, there appears to be little support for joint audit. This reflects the views of investors (the clients), as well as those who sit on audit committees. We are not suggesting that intervention measures could not encourage choice within the market, simply that we believe the CMA has not yet made its case – at least from the evidence presented - that mandatory joint audit is now the most effective remedy. The CMA’s aspirations to remove market barriers need to be shaped having regard to the evidence. The introduction of a market share cap as an alternative to joint audit could create opportunities for challenger firms but this remedy also presents considerable obstacles when designing a fair and equitable quota system. There are also serious concerns that this remedy would reduce choice for many companies hindering their duties to find the highest quality auditor. 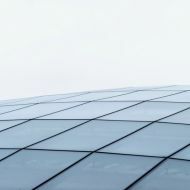 Should the CMA continue to propose mandatory joint audit we would encourage the CMA to emphasise to BEIS the need to revise the existing auditor liability provisions. We believe that the introduction of a proportionate liability regime would be essential if joint audit is to be introduced. If not addressed, this could be a significant deterrent to challenger firms wanting to compete in the FTSE audit market. The CMA’s aspirations to remove market barriers are to be welcomed, but the proposals need to be shaped having regard to the evidence, and after detailed analysis of their respective strengths, weaknesses, opportunities and unintended consequences. ICAS will continue to play its part in this ongoing debate. In our view the most important aspect is the role, purpose and scope of audit. The audit “expectation gap” is a real one and tackling this is critical for the future satisfaction of all Stakeholders – it cannot be viewed purely as an education exercise – change is required and will benefit stakeholders, including investors as well as the profession. what is the audit and what is being audited? what level of assurance should auditors be providing to users? at the moment the audit is effectively a financial and controls audit, is there a need to consider other risks beyond these? what data/information that is not currently being audited should be? This might well include ESG information. ICAS will continue to project a big voice in the audit debate through our engagement with the CMA, BEIS and Brydon with our public interest perspective very much to the fore. Last, but certainly not least, next month we are launching the CA Agenda – a new initiative in which trust features as a key tenet, alongside talent and technology – to help members to address the challenges confronting the profession. To finish on a positive note, we will of course also be considering the opportunities that technological advancements offer to the profession to better meet societal needs.